I don't like mess. Actually, let me rephrase that. I don't like the grubby, sticky kind of mess. Clutter I'm fine with but I'm not a huge fan of getting my hands dirty so, of course, the Mira Mess Makers challenge seemed like a great idea. 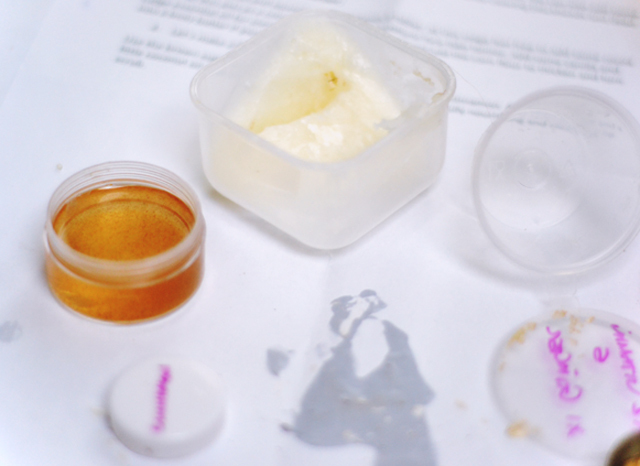 After being sent a parcel of various ingredients- the kind you'd find in your kitchen cupboards such as honey and cocoa powder- I was challenged to make a collection of toiletries using only those items and water from the tap. Oh, you know how I said I don't like mess? I don't cook either. 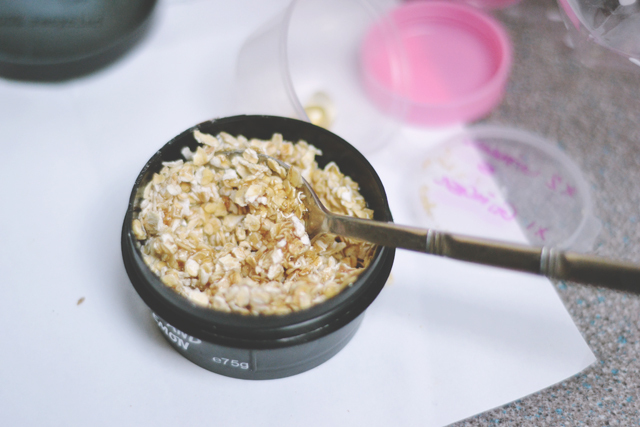 I am of zero use when it comes to ingredients, following recipes and getting messy. What could possibly go wrong...? Mira Showers teamed up with Midas Touch Crafts to create the instructions on what to make. Since I was limited to the ingredients I was sent (I could admittedly have added items from my own cupboards but it's hardly a chef's heaven in there! 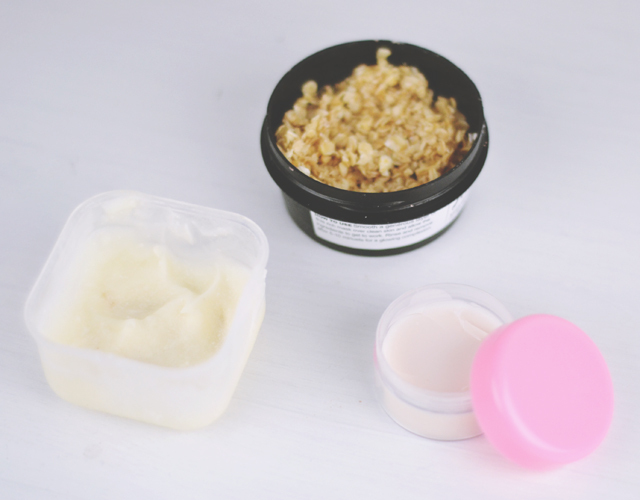 ), I settled on three products: Lip balm, body butter and face mask. I'll be lying if I said I didn't choose these because they looked like the easiest ones! Everything started off well! I melted the soya wax (it was supposed to be melted at 65 degrees- I just popped it in the microwave for a couple of minutes and hoped for the best!) then added some cocoa powder for flavour. At this stage I was supposed to grind up a ginger tablet and add it to draw blood to the lips for a plumping effect but I couldn't for the life of me work out how to grind it. I tried whacking it with a rolling pin (hitting my finger in the process like I was in the bloody Beano or something! ), squashing it with heavy utensils, even cutting it with a knife. Everything I could until it slipped out of my hands and rolled off somewhere never to be seen again. So I gave up on the ginger. I did, however, manage to squeeze the oil out of a Vitamin E tablet and add that to the mix before popping it in the fridge. Next, I attempted the face mask which was easy even by my standards. 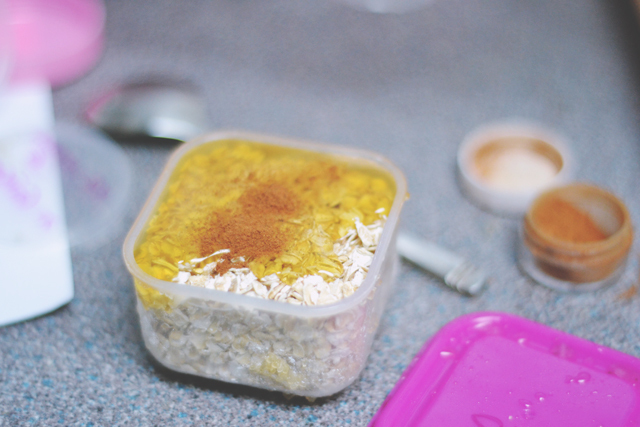 A squeeze of lemon and some honey added to oats and stirred together. Nothing to go wrong there... Except maybe using all of the oats rather than stirring in a few at a time and ending up with what is essentially a pot of oats with a miniscule drop of honey in the middle somewhere. Finally, the body butter. I so nearly had this on point! My coconut oil had turned solid so I popped it in the microwave for 30 seconds before adding the contents of a second Vitamin E tablet and some essential oil for fragrance. Once it was all stirred together, I poured in corn flour to thicken the mixture. Perfect! It looked great, it smelled amazing! I had conquered the Mira Mess Maker challenge! I had actually made some useable! And then I put it in the fridge. A detail that is not on my instruction sheet but one that my brain just decided to throw in there. Now my amazing body butter is solidified. It'll melt right down again though so no great loss there! Did I learn anything from my messy afternoon? Yes. I learned that my grand plans of making toiletries for everyone this Christmas is probably not going to work out. Best stock up on Chocolate Oranges.